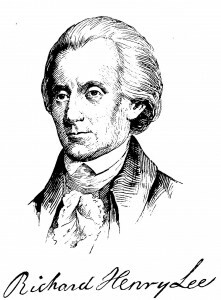 Richard Henry Lee was aware of the historic importance of his contemplated action as the day’s business of the Continental Congress proceeded. His own thoughts of history consumed him as he considered the implications of his impending act. Having considered the implications for future generations, he was suddenly keenly aware of the very real issues that would face him and his country very soon should his resolution ultimately win approval. That awareness returned him to the present and the ongoing proceedings around him. Congressional discussion had moved on to a complaint regarding the gun powder coming out of Oswald Eve’s mill. Since his 1761 election to the Virginia House of Burgesses Lee had been involved in the workings of a legislature. Lee knew that much of the time many matters felt mundane and often legislators failed to comprehend the true meaning of the things under consideration. Experience taught Lee that moments of high drama, though rare, were needed to call attention to the real import of legislative work. What was the real meaning of colonial compensation to Mr. Walker for the Endeavour? Why were they discussing the status of army battalions raised in South Carolina? Why was the quality of Oswald Eve’s gun powder important? As the delegates discussed the topics dispassionately, Lee wanted to shout out those questions followed by the answer. 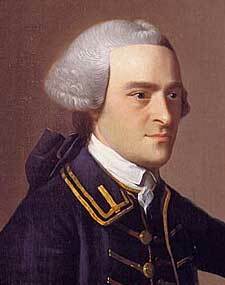 The colonies were at war with Great Britain!!! The time for high drama had long since passed, but Lee’s resolve that it would begin soon was toughened. The discussions of the powder problem droned on. As Delegates Henry Wisner, Robert Treat Paine, and Robert Livingston were selected to look into the defects of Eve’s powder, Lee’s patience began to wane, but he maintained legislative decorum and reflected how history had chosen him from among the colonial leaders to publicly and officially propose independence. Lee glanced at the fellow Virginian next to him, Thomas Jefferson. Nearly two years before, in 1774, Jefferson had articulated the justifications for civil war in his essay: A Summary View of the Rights of British North America, presented to the First Continental Congress. Jefferson had a talent with the written word and his composition had given Congress arguments that would defend an independence resolution. 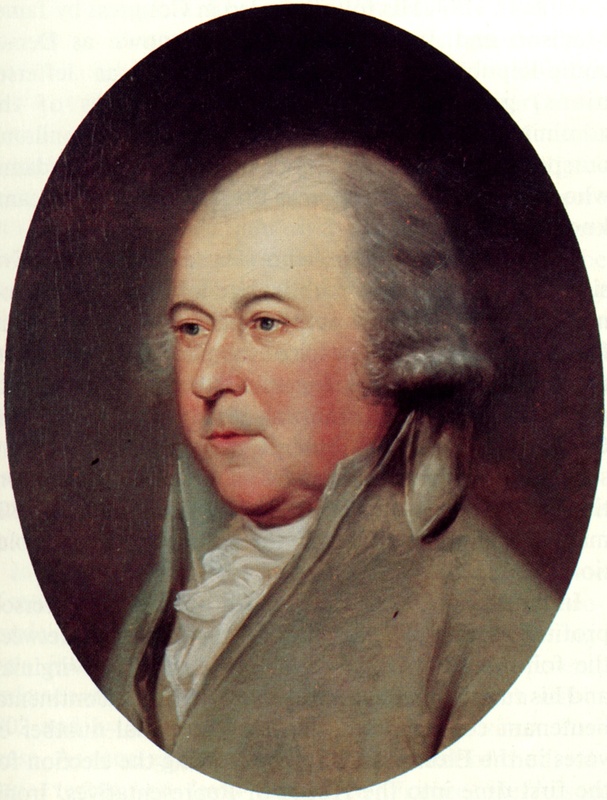 John Adams had thought it wise an independence proposal should come from a southern colony, specifically Virginia. 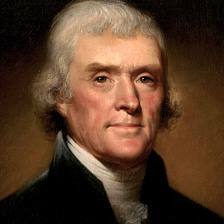 To Lee, Jefferson was the logical Virginian, but Tom was better with a quill than with a speech. Proposing a resolution required a speech. Though brilliant and multi-talented, public speaking was not among Jefferson’s stronger skills. Jefferson had been notably quiet during his time in Congress and twelve years younger than Lee. Jefferson’s silence and youth argued against his putting forth the resolution. Having reminded himself why Jefferson was inappropriate, Lee looked across the room at John Adams. Adams had the rhetorical skills and the spirit to propose and defend a resolution for independence. Adams’ Massachusetts had borne the brunt of British acts against the colonies. 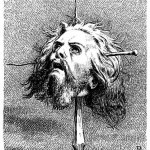 The colony had been the direct target of many of the King’s abuses and Massachusetts militia were the first to shed blood the year before at Lexington and Concord. 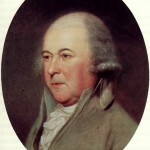 As an initial consideration, John Adams or another Massachusetts delegate would have been a common sense choice to introduce a resolution on independence. Of course, initial thoughts and common sense were not always the grounds for political choices. Adams was both loud and obnoxious and little liked by his fellow delegates. John Hancock as president of the assembly, though from Massachusetts, could not propose such a resolution. Such an act would be inconsistent with his position. Besides, as Boston had been the hotbed of rebellion, a proposal from Massachusetts might be looked upon as trying to drag the other colonies into their fight. No, neither Adams nor Hancock could effectively place the resolution before Congress. As members discussed how Wisner, Paine and Livingston should investigate the substandard powder from the Eve mill, Lee’s attention was drawn to the elderly man apparently asleep in the corner with his right foot wrapped in bandages and elevated on a chair in front of him. 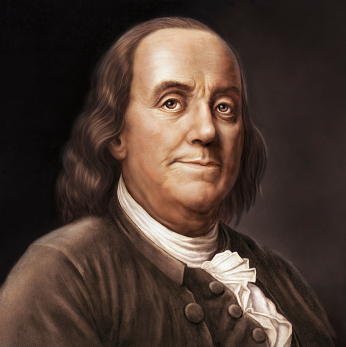 Pennsylvania’s Dr. Benjamin Franklin (who had received honorary doctorates from the University of St. Andrews and Oxford University) was the most senior delegate supporting independence and generally respected among the members of Congress. Franklin had often made Lee smile and had a talent for arriving at and expressing in the most self-effacing way extraordinarily complex matters. 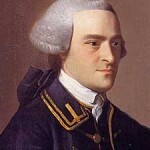 He would no doubt be able to define the urgency of independence for the delegates in a way difficult to dispute. Franklin had become the embodiment of this new people known as Americans. A resolution from him would receive respect and due consideration. Lee recognized a major stumbling block for Franklin. Proposals were made to Congress on behalf of state delegations, not by delegates personally. Franklin’s Pennsylvania delegation was split. John Dickinson’s opposition to independence, hope for reconciliation and expressed belief in the benefits of English traditions placed him firmly at odds with Franklin. Although misleading, Dickinson’s Magna Carta and Glorious Revolution invocations had swayed some to hesitate on independence. While Lee doubted Dickinson’s motives, Dickinson made it impossible for Franklin to offer a resolution on behalf of Pennsylvania. In thinking of the problematic Dickinson, Lee reminded himself that Dickinson and the old English symbols were respected among some delegates. This was something to remember in fashioning his own remarks. A reference to such symbols to support independence could aid the cause. He would wish to motivate, not alienate others. Beyond the internal divisions, Pennsylvania was not the southern sponsor that Adams reasonably felt was needed for a resolution to be successful. Many in the south distrusted the Yankees nearly as much as the British. Lee pondered for a moment if there were a southern candidate for this job besides Virginia. North Carolina met the criteria of having southern trust and its April 12, 1776 Halifax Resolves made it a worthy colony to propose independence. The Resolves had been the first colonial instructions to a congressional delegation to vote in favor of independence. However, though The Fourth Provincial Congress of North Carolina had unanimously instructed Joseph Hewes, William Hooper, and John Penn to vote in favor of independence, they had not been authorized to initiate an independence resolution. Having satisfied himself that there were no other alternatives, Lee thought with pride of his own Virginia, itself the victim of a brutal British attack that had destroyed the city of Norfolk six months earlier. This fight did clearly not belong to Massachusetts alone. The Virginia instructions and the political and legal limits on others put Lee in this historic and precarious position. Though Lee was not a lawyer, he had studied law extensively. He was in a room dominated by lawyers. He and they were familiar with the English law of treason. Lee understood an historic moment was approaching and that the moment had intense personal meaning implications for him as well. 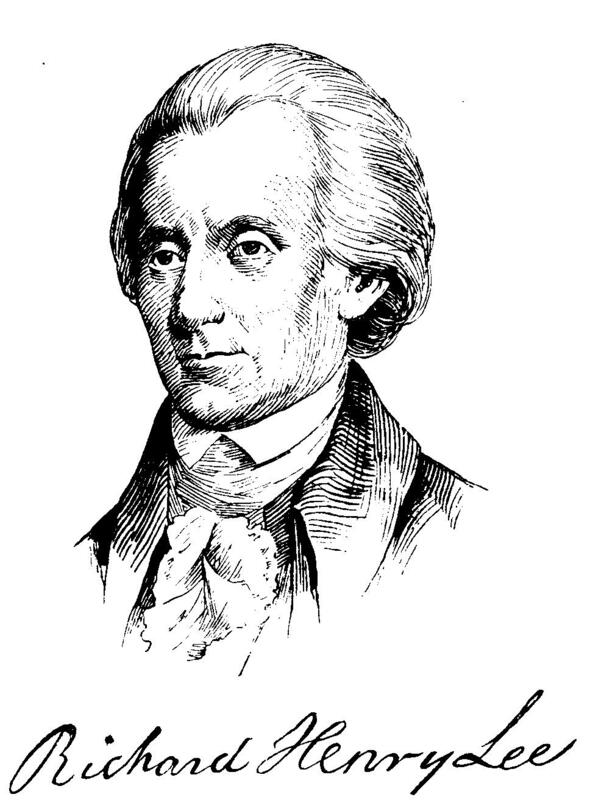 Richard Henry Lee was about to commit treason against the British crown. 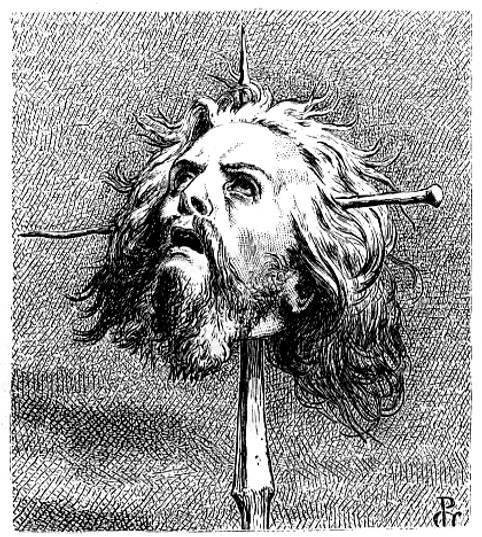 The possibility of being hanged, gutted, burned alive and beheaded did much to focus his thoughts. It did not dissuade him from his course of action.